Dahlia season is winding down here in Virginia. There are rumblings of frost (frost means it's all over til next year.) Dahlias are an icon of fall for me - maybe more so than pumpkins or corn stalks. I feel this frantic energy to hurry and use them all before they're gone for the year. 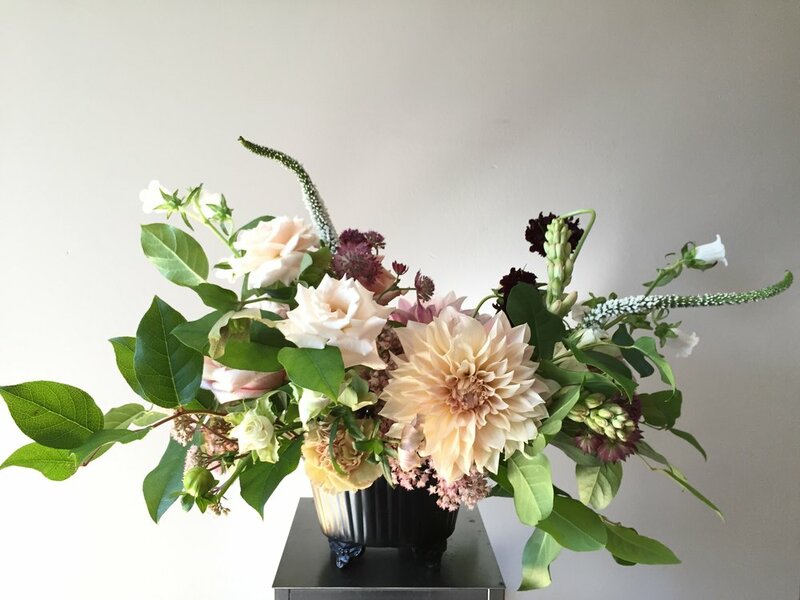 Last September, in the peak of dahlia season, I got together with one of my very sweet clients, Elaine, for a 1-on-1 flower arranging class. (Her daughter's idea for her birthday! What a present!) We had a lot of beautiful ingredients to work with, many of which were locally grown Virginia flowers, and it was fun to experiment and enjoy flowers with someone who loves them as much as I do. 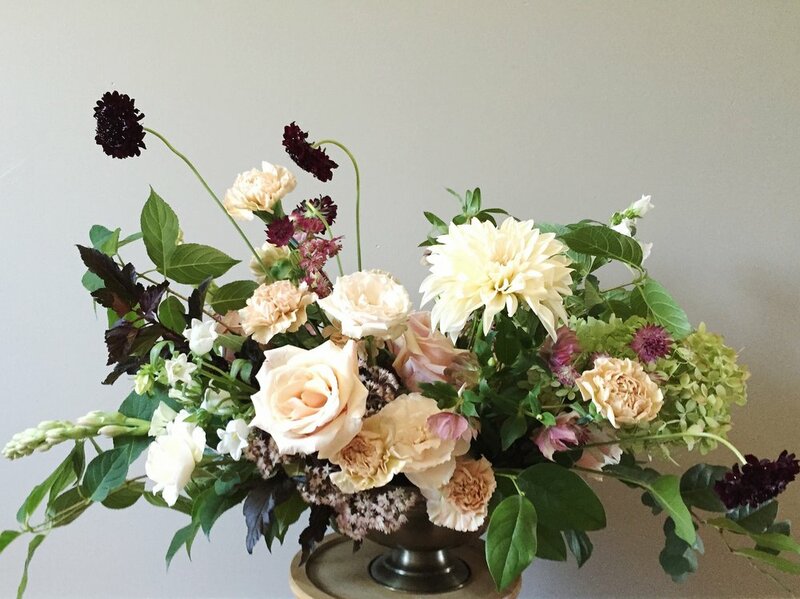 Our selection included local dahlias (of course) along with veronica, campanula, sahara and champagne roses, antique hellebore, scabiosa, carnations, and local sedum, eucalyptus, and blackberry foliage. Here are a few phone photos of the arrangements we made together. Elaine was a natural! I'd love to teach more classes like this in the future. The 1-on-1 format is nice because I can tailor the ingredients, vases, and techniques to exactly what you'd like to know more about! Send me a note if you'd like to chat about scheduling your own class!